Recognize and assess pain, documenting in the patient’s chart. Use non-pharmacologic and pharmacologic strategies to reduce pain experience preoperatively. Let’s use the example of nervous little Branton, an 8-year-old who has made it clear of his displeasure visiting the dentist. Whether real or perceived, his cries of “ow, ow, ow, ow,” deserve my recognition — even if there’s a reasonably good chance he was faking it. By asking, “Oh, no, what happened?” it gives him an opportunity to explain. Maybe I really was pinching his lip without knowing it, or maybe he was just trying to delay the inevitable. Either way, I need to assess the reason for his reaction and decide how to handle it. If his lip was being pinched, it could be because his mouth is small, in which case I needed to adjust my approach. Maybe I was distracted and not paying attention, in which case I would apologize, admit it was an accident and promise not to do it again. Mindfulness can be an asset with pediatric patients. The second recommendation of the AAPD — to use non-pharmacologic and pharmacologic strategies to reduce pain preoperatively — can also address both actual and perceived pain. 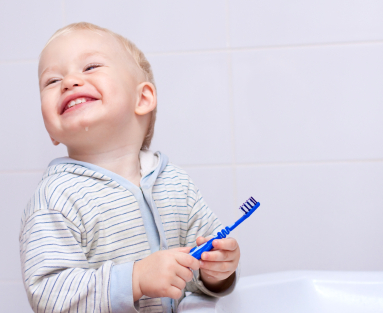 Unlike adults, children rarely have “general sensitivity,” but if that’s the case, pre-polishing (with a product like Colgate Sensitive Pro Relief) can take care of the problem. Patience is the key. By staying mindful, using all the tools at our disposal, employing lots of “tell-show-do,” and knowing that we will repeat ourselves fairly often, any actual or perceived pain can be kept to a minimum. While unlikely, it is possible for a crown to come unstuck (“debond”), especially if it’s knocked or if you happen to bite into something hard or very sticky. Not surprisingly, it can be both unsettling and worrisome. Worse yet, what do you do if you’re unable to see your dentist for a day or two, or possibly longer, depending on the circumstance? First Rule of Thumb: Don’t panic. If it’s not lost or swallowed, carefully take the crown out of your mouth to avoid the risk of swallowing it or, much graver, breathing it into the windpipe. On the off chance a cap is swallowed, it will eventually work its way through the digestive system without causing harm, but… it’s a gonner. Don’t think about retrieving it. Ideally, you’d make an appointment with your dentist as soon as possible to get the crown properly fixed back into place. Of course, that’s in a perfect world. If you still have the crown, but aren’t able to get to the dentist, clean and sterilize the cap with some Milton sterilizing fluid (sold in most drug stores), dry it and put it safely into a small container. It’s important to keep the underlying tooth from which the crown came clean by carefully brushing with a soft toothbrush. Note: the tooth may still be alive (vital) and will likely be sensitive to hot or cold drinks and food — best to avoid them. If the underlying tooth is non-vital it won’t hurt, but it’s important to try and prevent any food debris from lodging into any gaps that may be present if it’s a crown with a post attached. If the tooth is right at the front of your mouth, you’ll understandably be anxious to temporarily fix it until you can see the dentist. There are temporary cements you can buy at the drugstore, but these materials aren’t strong bonding agents and may not hold the crown securely. There could be a risk of it coming loose while you sleep and it being swallowed or inhaled, so it’s best to manage without it if you possibly can. You can always try chewing gum … people have been known to use it in a pinch. If you decide to re-fix a crown with temporary cement, take care not to put pressure on it while eating or brushing your teeth since it is easily dislodged. However, whatever you do to temporarily fix the problem, don’t EVER use something like “SUPER-GLUE,” it’s not only dangerous, it will likely ruin the crown and tooth. Your best bet is to get to the dentist as soon as you can; in the interim keep the area clean and be mindful of what you eat. How safe and effective are all those over-the-counter products? Americans reportedly drop $1.4 billion annually on nonprescription teeth whitening products to bleach away the effects of cigarettes, coffee, red wine or just good-old age. Certain medications, notably tetracycline, also discolor teeth, say experts. But is the bite to your wallet worth it? Q: To what degree is losing that pearly white shine unavoidable and natural? A: Almost universally, teeth will get darker with age. 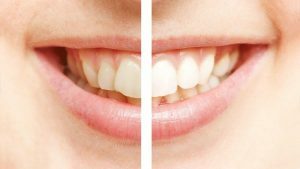 For most people, as they age, their teeth will turn kind of a brownish yellow — not necessarily from smoking, coffee or wine, but by virtue of aging, itself. Q: Whatever the cause, are over-the-counter products effective? A: There are two types of discoloration: “intrinsic,” which develops over time and is the tooth’s natural, aged color. Then there’s “extrinsic” color, due to deposits on the teeth from smoking or coffee, or other materials or due to medication taken by the patient. Bleach will not work with a stain from major deposits caused because a patient has not brushed their teeth. If you’re not taking care of your teeth, there’s not going to be any meaningful and effective whitening from any type of product. The teeth have to be in a healthy condition. If a patient hasn’t been to the dentist for a while, and if there are any cavities or decay — and whitening material gets within the decay — it can cause excruciating pain. However, if a patient is healthy, with good oral hygiene, then OTC whitening agents can work effectively. The caveat, however, is that the process is not dentist-monitored to insure efficacy. Many of them don’t do anything. For instance, a mouthwash containing a “whitening” agent, such as hydrogen peroxide, probably won’t be very effective. There are some products that use a light that we flash on our teeth to accelerate whitening. Even the whitening lights that we use in the dental office are no more effective than other ways of whitening teeth. If you want white teeth, dentists have tried-and-true methods. Some patients have their dentist paint a whitening solution that sits on the teeth for 30-45 minutes while in the dental office. Keep in mind, these solutions are completely different from the OTC products you buy in the drugstore. It’s highly concentrated; the gums actually have to be protected from this material. Q: Are there any over-the-counter products that you would recommend? “Crest Whitestrips” work. This product comes with moldable mouth trays that can be custom-fitted by placing them in hot water and then inserted in the mouth to be molded. The accompanying whitening gel seems to be fairly effective. While mouthwashes are, by-and-large, ineffective, if you were to rinse 6-9 times daily — and hold it in your mouth for 2-3 minutes — you will likely see some improvement in color. Look at the label — the effective products will contain some type of peroxide. Note, with any of the OTC products, there is virtually no oversight by a dentist. But there is no guidance by a dentist to monitor all this. Side effects include irritated gums, over-processing and the danger of exacerbating cavities. Q: Will the teeth become as white as what is done in the dental office? A: Probably not as rapidly. It might take two or three months with over-the-counter products, whereas when we use products that can only be purchased in a dental office and those are going to work within as little as 3-4 days, but up to a week, possibly longer. Q: How often should a person whiten his or her teeth? In a medical setting, our procedure should last up to two years. For maintenance, it is recommended that patients touch up a bleaching every six months during their regularly scheduled cleanings. Bottom line: if you want to whiten, you should consult your dentist first and even then, beware that whitening can have problems. While very rare, having your dentist monitor the process will go along way in helping you achieve the desired results in a quick and safe way. May is Pregnancy Awareness Month, a time for pregnant women to focus on their overall health, for their own sake and the sake of their children. We are seeing an improvement in the United States in terms of pregnant women’s attention to their oral health. According to Delta Dental, more expectant women have visited the dentist during their pregnancies than in the past, an increase of 7%, this past year. Q: When should pregnant women visit the dentist? A: Whenever there is an issue, certainly. Regularly scheduled cleanings (every six months) should still occur during pregnancy as there is no reason to put those appointments off. More complicated procedures need to be discussed. Any pain should be weighed against the small but present risk to the baby. For the most part, procedures that require local anesthesia are permitted and even encouraged if they will improve the well being of the mother. Extra precautions to shield the abdomen will need to be taken if x-rays are absolutely necessary. Most dentists and women find the 2nd trimester to be the ideal time for appointments and procedures. Women who are nauseated during the 1st trimester often cannot tolerate any work done on their mouths. The third trimester can also make lying back for long periods uncomfortable. Q: Does your mouth change when you are pregnant? A: Yes, it can. There is such a thing as “pregnancy gingivitis”, a condition of more sensitive inflamed gums during pregnancy. This appears to be related to an increase in hormone levels. Your gums may need extra care during these 40 weeks and you may require a more intense dental cleaning during pregnancy. In addition, there is a rarer condition that causes little tumors to appear on the gum between the teeth, related to a buildup of plaque. These typically go away as soon as the baby is born. 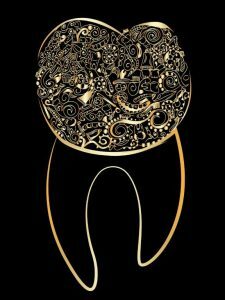 Q: What should pregnant women do to take care of their teeth? A: Continue to be vigilant about brushing and flossing. Flossing becomes paramount in order to deal with the possibilities of plaque buildup and any irritation to the gumline. Make sure you see the dentist for a cleaning at least once during your pregnancy, changing the time of your appointment to the 2nd trimester if possible. Pregnant women should contact their dental insurance provider if they are going to see their dentist earlier than planned in order to avoid the third trimester. Many plans only allow two visits per calendar year and the visits must have a certain interval between them. Calling the plan to explain that you are pregnant and you must be seen prior to the third trimester may save you save money by getting pre-approval. In this country we have health care providers and we have dentists. The best dentists understand that oral health is a huge part of our overall health. And now medical professionals are coming on board too and are beginning to understand that connection. The idea of breaking down the barriers between dental practices and primary care practices is being studied in the Boston area. Northeastern University’s School of Nursing is joining forces with the Harvard School of Dental Medicine to create an interprofessional program, which has received grant money from the United States Department of Health and Human Services. The training program not only will increase the education and knowledge of the professionals who participate. Even more importantly, the program targets medically underserved populations, who have also been inconsistent in accessing dental care. The students in this program will be learning about both dental care and primary care. They will participate in both disciplines’ clinical rotations and they will learn to coordinate care of clinical patients. The hope is that patients who receive dental care and primary care in the same setting will have improved outcomes. A dental patient, for instance, who is suffering from severe periodontitis would automatically be evaluated by the nursing staff for other disease conditions that can be caused by this condition. On the other hand, a primary care visit would also include questions about eating and about the condition of a patient’s teeth so that dental issues are addressed in a timely manner. The combined practice could prove to be particularly helpful in dealing with older adults with chronic diseases, particularly those who have diabetes. This approach may not work for everybody, but could be quite effective in improving health outcomes for the targeted population. 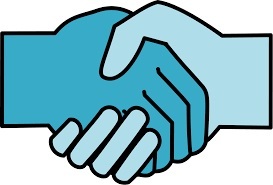 In addition, it may shed light on ways that doctors and dentists can work together in referring to one another and in treating patients with chronic or complicated disease processes. We are very happy with the purchase of our newest dental laser technology. This newest equipment provides a state of the art set of tools for treating a variety of dental issues. 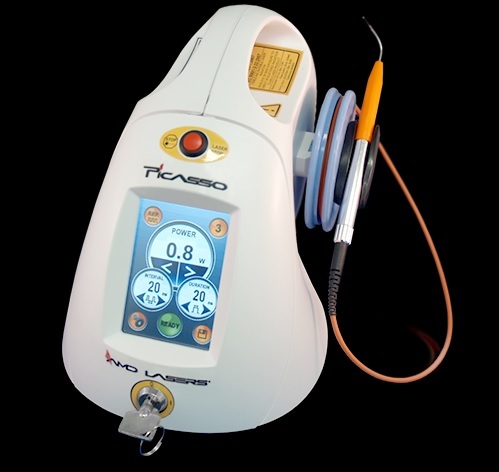 Laser tools are less invasive than traditional dental tools. They don’t make the same loud sounds. They don’t vibrate. As a result, laser technology reduces the need for anesthesia and is perfect for patients who have anxiety about dental procedures, including pediatric patients. Microsurgery on very small cavities and small fissures in the enamel. Very effective, sterile and gentle in working with implanted bone. Gum treatment including debridement of swollen and infected gum tissue. Cosmetic dentistry including depigmentation of teeth, and debonding of porcelain veneers. Pediatric treatments like exposure of unerupted teeth. We are excited to have this latest technology and to pass its benefits on to you. Perhaps one of the least comfortable topics of discussion between patients and dentists is money. But patients should not shrink from having that discussion. Money is an issue for most people. Patients want to be able to plan to pay for the dentist’s services to the best of their ability. Your dentist does not automatically know your financial situation. So it’s better to discuss billing and how much procedures will cost prior to a visit. Dental insurance is usually a good deal when it is part of group coverage. If your employer offers group dental insurance, it usually covers all of your cleanings and X-rays and will discount several procedures. Most dental insurance has a spending cap and many have a deductible for services other than exams and cleanings. Make sure you know the specifics of your policy. For many families, the spending cap is per person, and includes orthodontia, meaning that orthodontia can be discounted but not entirely. In Michigan, Medicare does not include dental coverage. If you will be aging out of group coverage and into Medicare, schedule a dental exam and any procedures before your coverage lapses. Dental insurance bought on the marketplace may still save you money, depending on your ability to save and what you expect your dental expenses to be. Be sure to check out AARP and professional organizations that you belonged to when you or your partner worked. Be sure that you check with your dentist as to which dental insurance plans she participates in. And check with the dentist’s bookkeeper and insurance coordinator regarding which insurance plans seem to be the most cooperative regarding timely payment and transparency regarding coverage. 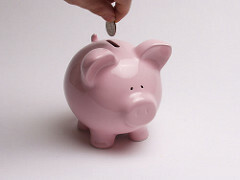 If you must go without dental insurance, spend money wisely and come in for exams when they are scheduled. Doing without may cost you much more down the road. 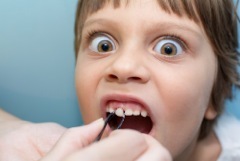 When do you think a child should go to the dentist for the first time? The answer may surprise you. The American Dental Association recommends that children see a dentist within six months of getting their first tooth. Furthermore, the ADA says that all children should see the dentist no later than their first birthday, regardless of how many teeth have erupted by then. At this first pediatric visit, the dentist will examine the gum, any teeth that have broken through, as well as the tongue and jaw. Be aware that cavities can be present in teeth, even before they have erupted through the gumline. Cavities still plague many young people and account for many days of missed school and missed work time for parents. According to the National Institute of Dental and Craniofacial Research, 42% of children ages 2-11 have cavities in their baby teeth. Parents and caregivers mistakenly believe that the baby teeth are “disposable” and that cavities in them are not significant. They could not be more wrong. Cavities can cause pain, issues with eating, and impact the gum. Cavities need to be treated with cleaning and filling. Pulling teeth is not usually an option, as this causes misalignment. Early intervention and working in partnership with a dentist to take care of children’s oral health care needs are paramount. Habituating your children to visit the dentist regularly sets up good oral health habits for life and prevents serious dental issues. What do celebrities and regular patients of ours have in common? The ability to access and afford attractive, long-lasting veneers. A veneer is an ultra-thin shell, made of porcelain or a composite resin material. Veneers are attached or bonded to the front portion of the teeth. Why would somebody choose to install veneers? Our teeth are a significant component of our appearance. 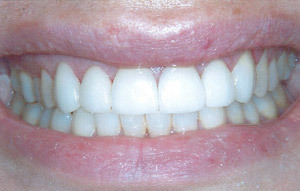 Front teeth that have defects can be covered up with veneers, vastly improving the appearance of these damaged teeth. Chips: A veneer can be a great “fix” for a chipped tooth, and often a better alternative than removing the tooth and installing an implant or bridge, both economically and aesthetically. Misshapen teeth: For various reasons, your teeth may have an irregular shape, but still be a perfectly healthy tooth. Veneers cover up the less attractive portion of the tooth while retaining the strength of your natural tooth. Gaps between teeth: A veneer can extend beyond your tooth and cover up the gaps in between two teeth. It’s actually pretty straightforward. Your original tooth is contoured so that the surface will match up with the veneer, creating a tight bond. After the tooth is contoured, Dr. Meyers will make a mold of the teeth to be veneered. These impressions are used to make custom designed veneers. The production of these custom-made veneers takes about three weeks. When they are delivered, the patient returns to have the veneers bonded into place. Typically, the whole process is painless, requiring no anesthesia, unless there is a tender place on the original tooth. QUESTION: Why does my dentist suggest x-rays? ANSWER: X-rays take an image of the bones, the teeth, above the gum line and more importantly, below the gumline. Dental x-rays also reveal the areas between and behind teeth. X-rays can be enlarged to show great detail. With these images, dentists can detect cracks or holes in the enamel, which if left untreated, will allow bacteria to invade the tooth and gum. X-rays also show (in comparison to previous images) any bone loss which is occurring. QUESTION: How often do I need to be x-rayed? ANSWER: It depends. We know you hate that answer, but it really is true. Timing of x-rays depends on your personal situation, what your previous oral health history has been, if you are prone to caries (cavities) and/or gum disease, if you have had recent dental work, and if you have other health conditions that could exacerbate dental disease processes, such as diabetes, heart disease or active chemotherapy treatments. Lifestyle choices like smoking also increase the need for more frequent x-rays. Even your age is a consideration. Most dentists will rightfully insist on new images every 1-3 years with more frequent images if your situation indicates a need. Patients are mostly concerned about the amount of radiation that dental x-rays emit. Radiation of this type is measured in micro-Sieverts. Each x-ray of your teeth on digital or fast-speed film emits about 8 or 9 micro-Sieverts. A panoramic x-ray, which is used to obtain a large image of both the upper and lower jay with a wide lens emits about 24 micro-Sieverts. So, what can we compare this radiation to? So, while it is prudent to be concerned with radiation levels of x-rays, your exposure to radiation in the dentist’s chair is a pretty minimal in comparison to the radiation you are regularly exposed to. 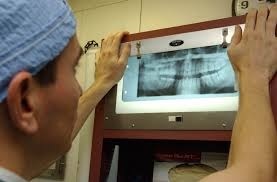 If you are concerned with any aspect of dental x-rays, we urge you to talk to your oral health care team.